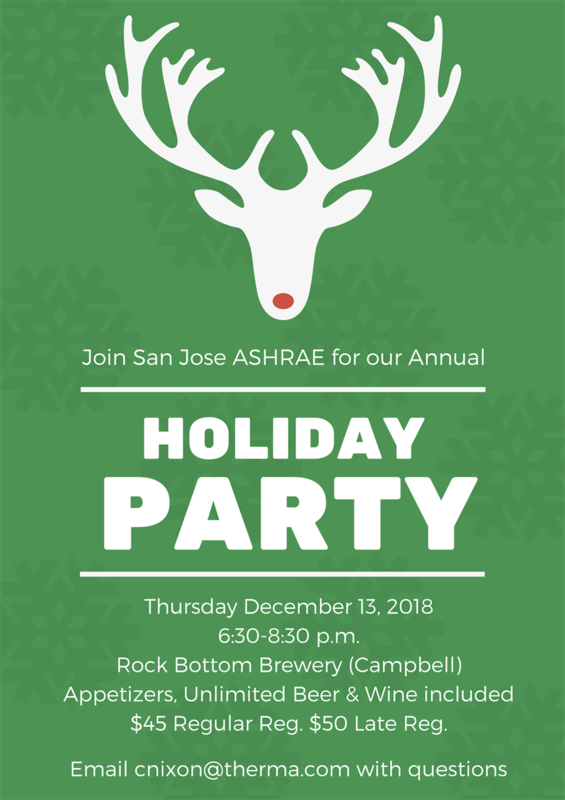 San Jose ASHRAE Annual Holiday Party is on Thursday, December 13th and will be at Rock Bottom Brewery in the Pruneyard Campbell! There will be appetizers and unlimited beer and wine included. We also will have our own space off the side of the bar. The unlimited drinks will run from 6:30-8:30pm so arrive early! Costumes and ugly sweaters highly encouraged!